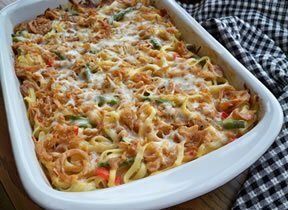 This pasta casserole is made with lightly sauteed red peppers and asparagus, which gives this dish a boost of flavor. Made without any meat added, this casserole will still satisfy any hungry appetite. See how to make several types of stuffed pasta and fill them with your favorite combination of cheese and seasoning. Follow these step-by-step instructions on making these traditional light and fluffy waffles and enjoy them for breakfast, lunch or dinner.